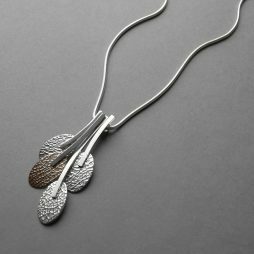 Originally from East Yorkshire, Rebecca Halstead is a graduate of Edinburgh College of Art and worked as a designer in the jewellery industry – based in London’s Bond Street and Birminghams’s Jewellery Quarter. 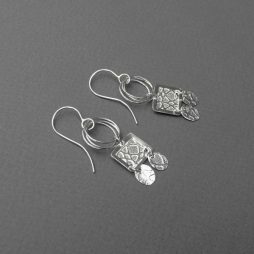 She set up her workshop in 1991 creating handmade jewellery and also worked for many years at Edinburgh College of Art as a lecturer in design. 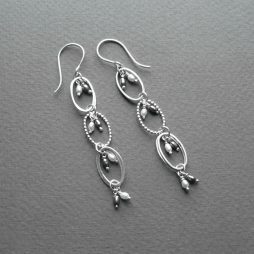 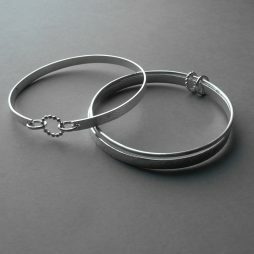 Rebecca has been a tutor for over 27 years and currently teaches several jewellery courses in Edinburgh. 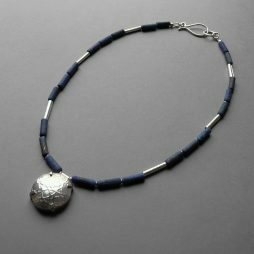 Rebecca’s designs are bold and flamboyant – the jewellery moves beautifully on the body. 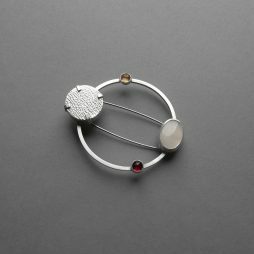 Colour, pattern and movement have always featured in Rebecca’s work and her current collection brings the technique of stone setting to ‘set’ elements of silver into her designs.